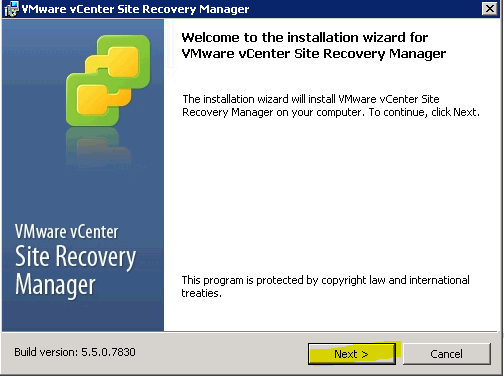 This is Blog 3 on VMware Site Recovery Manger. 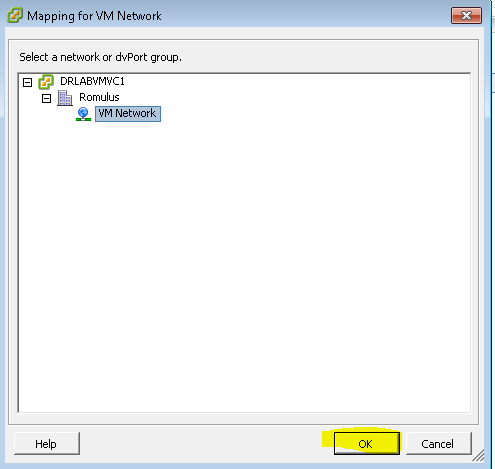 This post will cover Resource Mappings, Folder Mappings, Network Mapping sand the Placeholder Datastores. 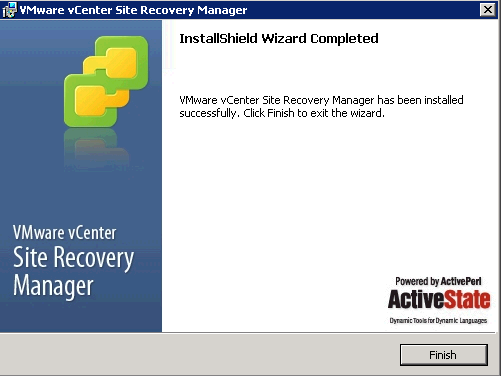 At this point we have installed SRM at each site, connected them to the vCenter Server and connected the 2 sites. 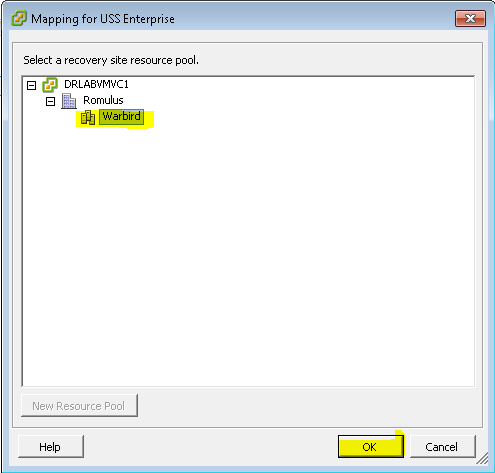 Go to the Resource Mappings Tab and select “Configure Mapping”. 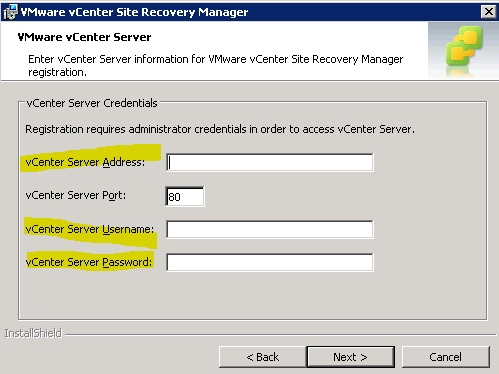 The point of this is to map your Production Clusters to the DR Clusters so vCenter knows how to designate resources for the VMs you are protecting. 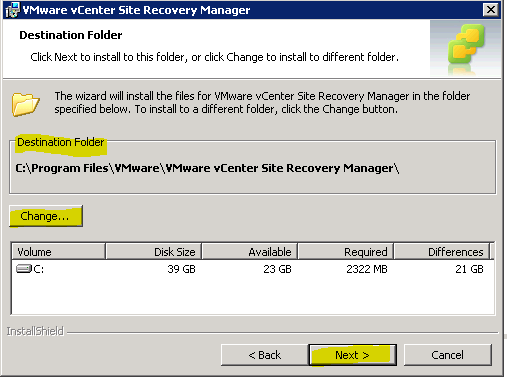 Make sure you have created the Cluster and Resource Pools at DR before configuring this. 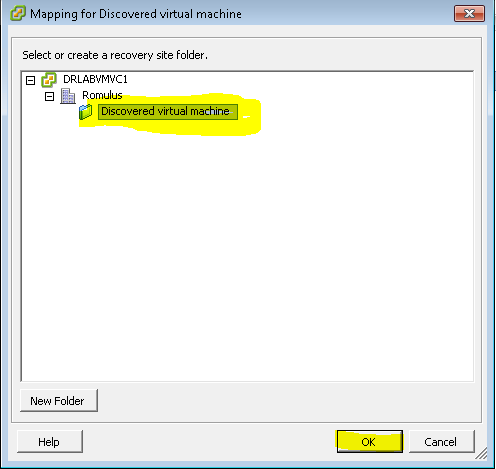 Go to the Folder Mappings tab and select “Configure Mapping” on the highlighted Folder. 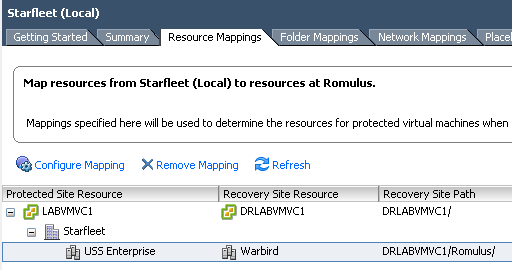 The point of this is to map the folders that you have created to the DR side. 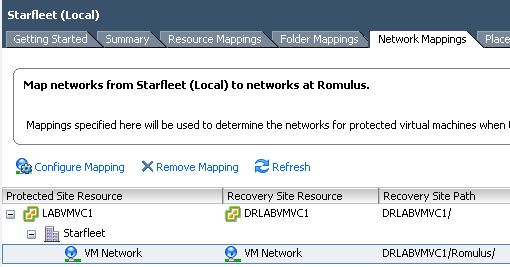 Go to the Network Mappings tab and “Configure Mapping”. 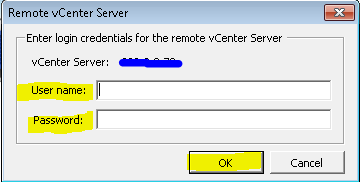 You want to make sure all the networks are mapped so vCenter knows what network or dvPort Group to put the VMs on when they are added to inventory. 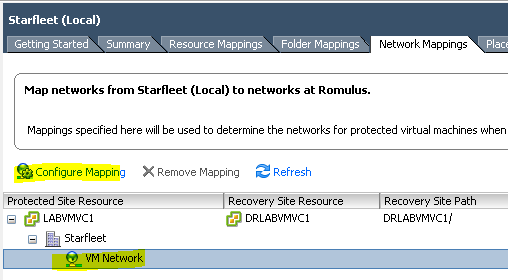 Networks need to be created at DR before this step. 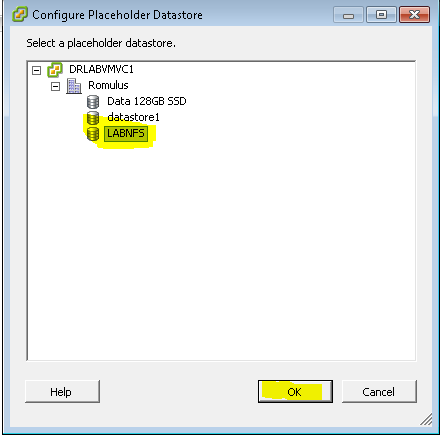 Go to the Placeholder Datastores tab and “Configure Placeholder Datastore”. 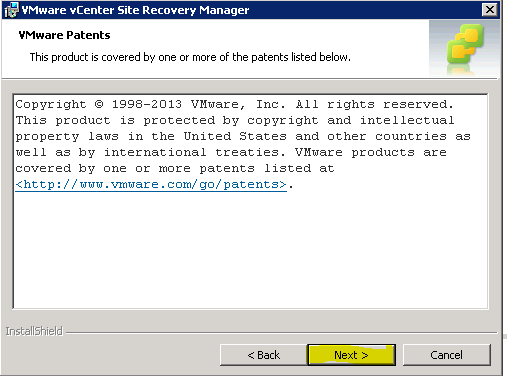 This designates Datastore that SRM will use to reserve a space for VMs in the Inventory at the DR Site. 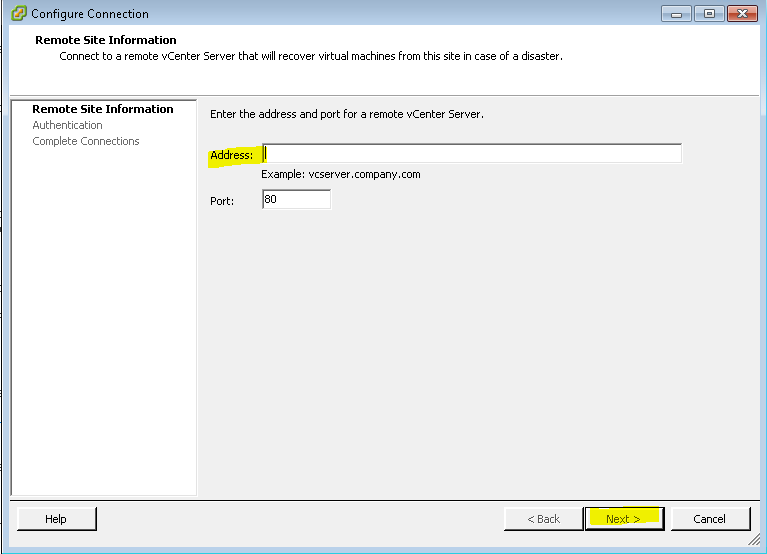 The Placeholder Datastores must be seen by all hosts in the cluster and must not be replicated. 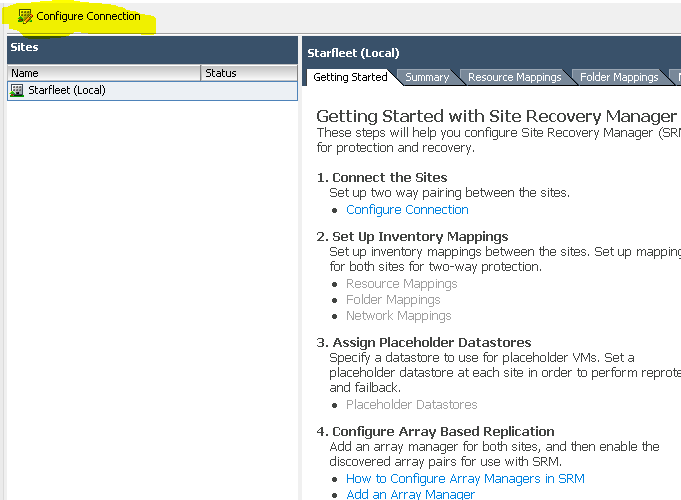 Your Placeholder Datastores will now show up under the Placeholder Datastores Tab. 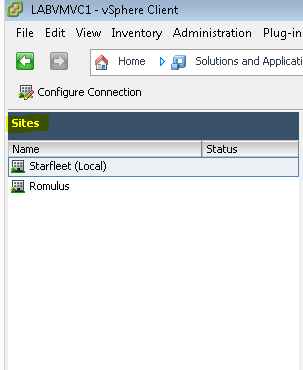 At this point we have Installed SRM, Connected the Sites and Mapped Everything. 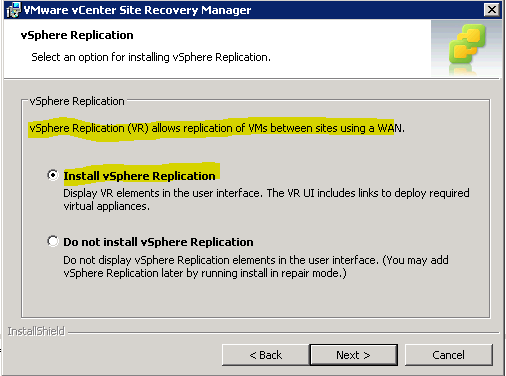 The next Blog will cover installing vSphere Replication. 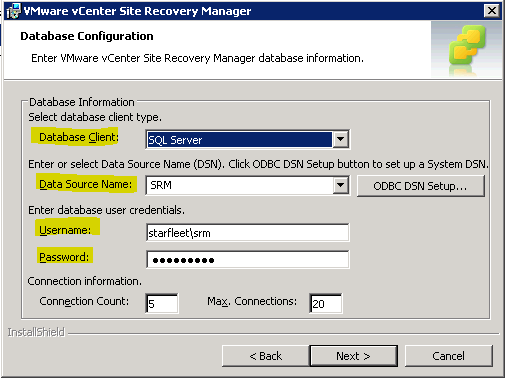 A SQL database is need for each SRM server. 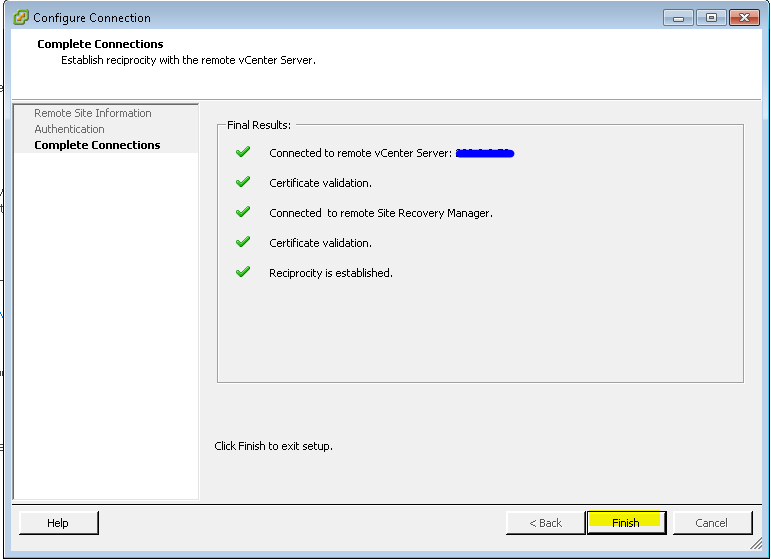 You can use a full version or SQL Express. 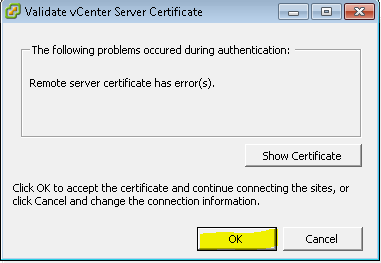 I would recommend putting the database on the same server as the vCenter Database if you do a full version. 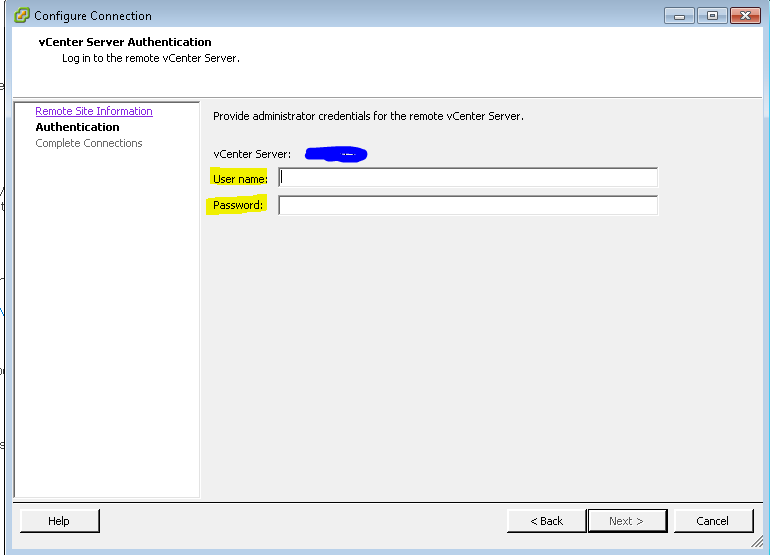 An ODBC connection needs to be created to the SRM Database on the SRM server. 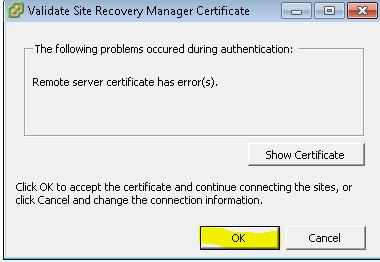 Several Windows Firewall settings. 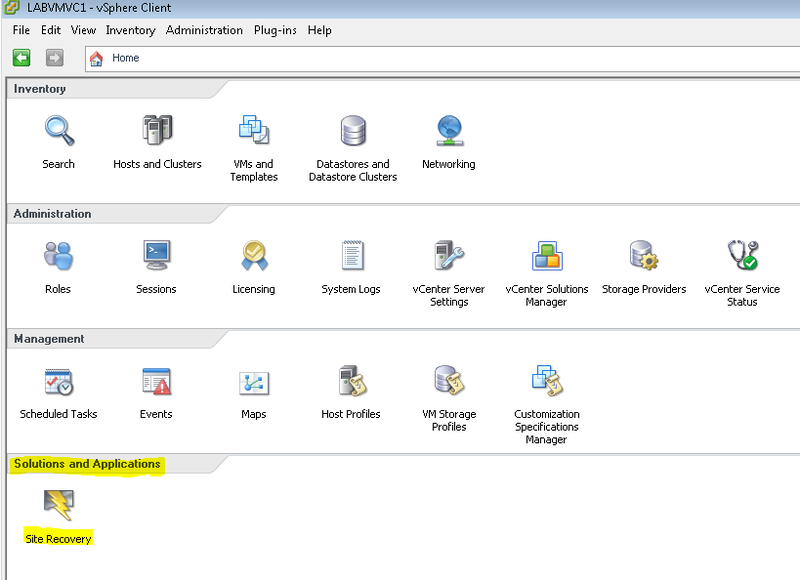 See the SRM Documentation for those settings. 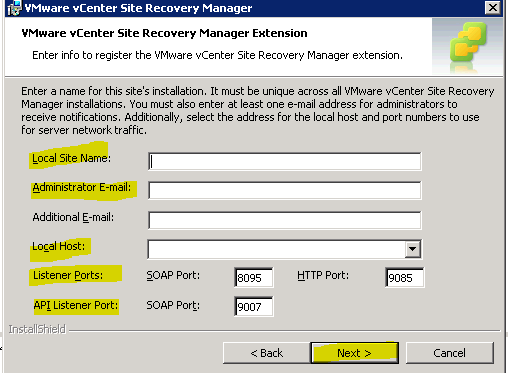 Enter the vCenter information that SRM is connecting to. 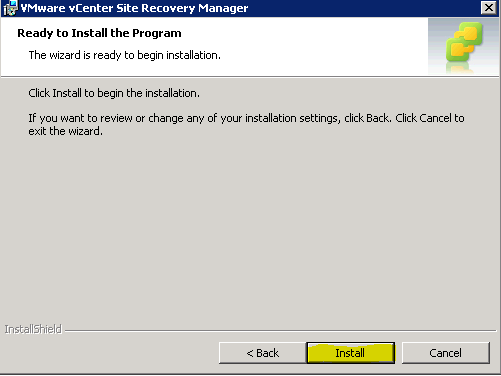 Site Installation information for SRM. Take note of the Ports. 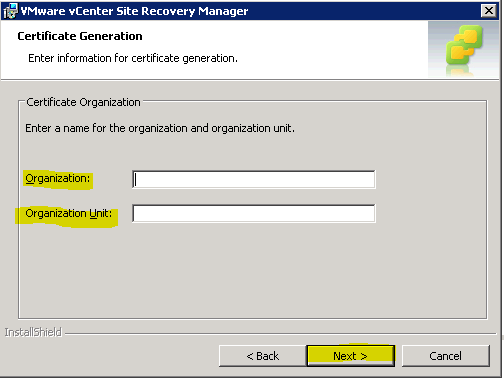 Database Configuration. 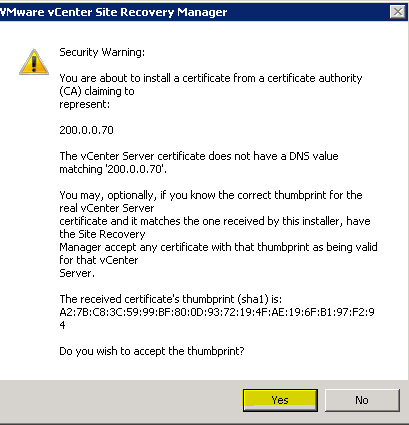 Use the ODBC that was setup. 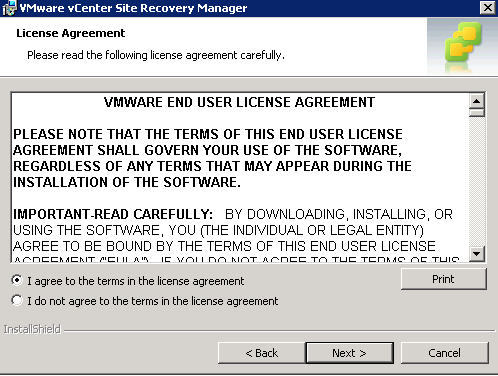 At this point you have installed SRM. 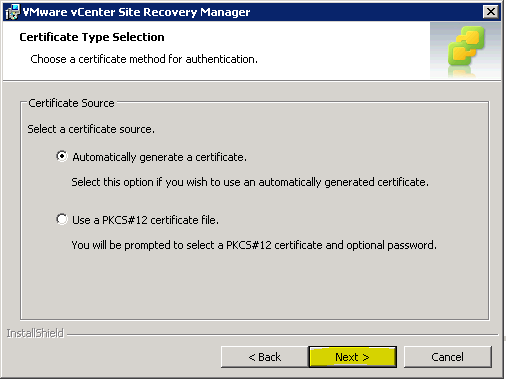 You will need to do this at each site before continuing on to the next step. The next blog will cover connecting the 2 sites as well as mapping all or your resources.